The last TVXQ album together. Wow, I hadn’t realized that until after I finished writing the entire review. Remember the Tokyo Dome concert? I loved watching that and how much fun they had…ah memories. 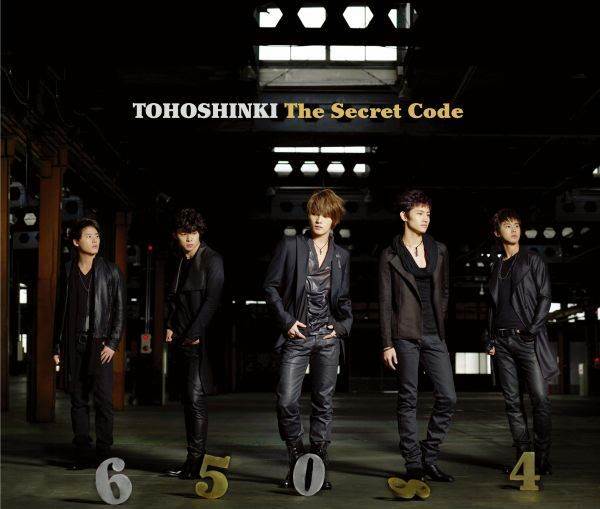 Secret Code is TVXQ’s fourth Japanese studio album released March 25,2009. It debuted at the number 2 spot on the Oricon charts. Secret Game (Listen) has parts when it sounds like 4 minutes (Madonna feat. Justin Timberlake and Timbaland). It has a weird mix of jazz with the flare of trumpets and piano then the drums give it an R&B flair; very short and sounds more like an intro. FORCE has a not so nice falsetto as the chorus with some hard beats. Not a really good say because it’s all over the place for me. どうして君を好きになってしまったんだ ろう？has sweet lyrics. Although slight, the autotune ruins this and I do tend to love their slower songs, this really isn’t doing much for me. Nobody Knows is a favorite of mine. It brings in some jazz elements with a nice continuous hi-hat instead of a booming drum. Beautiful you was the song that really hooked me with TVVXQ’s Japanese songs ( I always fantasized about Changmin or Jaejoong singing this to me). I have one pet peeve and it’s that the song has not climax, it’s going nowhere and gets boring after a few listens. 忘れないで (Listen) is a nice ballad with the traditional piano. The chorus is the most interesting part of the song. 9095 (Listen) is another favorite of mine; it has such a mysterious sound. Something different from them and relaxing. I have a bias towards the Korean version of 呪文 -MIROTIC-, while this is nice; I just can’t sing along like ‘neol narul wonhae’. TAXI (Listen) another ballad with guess what, yep piano. It may be relaxing, but doesn’t really fit after such a high energy song like Mirotic. With Stand Up! we get more of a pop/dance beat. The repetitive chorus with English words ending in -tion followed by a string of ‘na na na na’s is pretty addicting. Survivor is a pop track with some good harmonies. I really want to like this song, but it’s not really clicking for me. The bells and drums in Kiss The Baby Sky remind me of a Korean single they released that I can’t seem to remember the name of. Micky;s English is bugs me a little , but whatever it’s a cute song. Bolero (Listen) has a darker sound added from the strings.. I enjoy this song; nice mid tempo ballad with a pretty good blend of their voices. 9096 finishes the album and sounds even more mysterious than 9095. Apparently when 95 and 96 are played together, you get the “secret” of the Secret Code. I prefer the version that doesn’t freak me out,9095.